Thousands of trainers right now are thinking about investing in a training platform, or learning management system, to automate, maximize, leverage and get the most ROI out of their training activities as possible. However, before you start spending time reviewing systems and talking to various vendors, you should ask yourself a few questions to identify your current and near future needs. A small amount of needs analysis, as shown below, will allow you to more easily streamline your research process and quickly identify your system requirements. Does the system run SCORM 2004 and/or SCORM 1.2? SCORM is the most common eLearning standard and most content authors offer SCORM files of their courses. So ideally, you want a system that can launch/track both versions of SCORM. This is an essential requirement for a platform. You need to have the ability to install a wide range of courses on your system . . . otherwise, you’re needlessly limiting yourself. Beware, many of the ERP and Payroll vendors advertise a LMS or learning platform, but these platforms cannot launch SCORM 2004 or 1.2 courses so their practical value is limited. Can the system run AICC files? 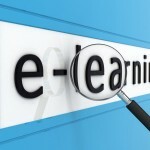 AICC seems to be in decline as the prevalent eLearning standard so this is no longer a critical requirement. Having said that, Skillsoft is probably the biggest content vendor out there with literally thousands of titles. Skillsoft courses are in an AICC file format, so you need a platform that can run AICC files if you plan on licensing Skillsoft courses. Do you currently utilize classroom workshops or instructor led training? If so, you should be capturing that data so you can better understand and quantify the results of your training efforts. Therefore, you need to ensure the system can manage classrooms and enroll and notify people, create rosters and schedule rooms, instructors and equipment. Given the anticipated explosion of eLearning, many vendors who have historically focused on sales and marketing solutions, are now jumping into the LMS marketplace. While that’s fine, many of the former sales presentation platforms do not manage traditional classroom training. If you currently conduct instructor led training, or you plan to, you need to have a system that can manage in-person workshops. 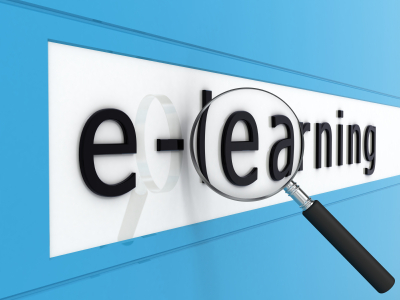 Historically, there are three delivery methods for training activities: eLearning, classrooms and webinars. These days, I would add a fourth delivery method which would be informal file sharing, blog posts, discussion groups, and other forms of social media. In any event, canvas each department in your organization and determine how many webinars each department is holding and which webinar providers are being utilized. Webinars are a fast, easy way to conduct training so there’s a good chance that some departments rely on them quite a bit. If so, the LMS should be able to integrate with your webinar provider, or offer their own solution, so you’re able to login and record all of your training activities and learners’ training records in one web-based system. Will the system allow you to offer different sets of courses to different groups of people based on pre-selected criteria? At a more granular level, will the system allow you to develop a lesson plan for a particular job or position, e.g., an analyst 1 takes course A, then course B, then course C, in that order? Most of us train people based on their identifiers such as job title, department, region, etc. Accordingly, the system needs to be able to reflect that common training work-flow. Does the system allow you to de-centralize training responsibility so various managers can view their own employees, assign courses, send notifications and run reports? In most organizations, training is usually conducted at a department level. Only a general compliance course such as a harassment or ethics course would be launched throughout the workforce. Therefore, the training system should reflect that practice and provide a more limited administrative view and functionality to designated “sub-administrators” on the system. People often ignore “canned” or stock email notifications. Check to see if the system will allow you to customize a number of messages to store in a Notification Library. Various administrators should be able to customize their own messages and reminders to go with their training activities. The ability to attach files to the email and/or copy others on the email is helpful. For email notifications regarding a scheduled class or webinar, the learner must be able to sync the notification with his/her desktop calendaring system. Do you manage or need to track certificates such as continuing education credits? If so, can the system manage, track and generate training certificates? To drill down, check the system library to see if the library tracks whether a particular course entails a certificate. Also, review the reporting capabilities to determine if you can run a report that will give you a snapshot of a learner’s certification credits. Arguably, the reporting function is the most important function of any training platform. The greatest benefit of a LMS is to consolidate and track all training efforts to better quantify and objectively evaluate any resulting performance increase or other change in the organization. The only way to do that effectively is to have a robust and flexible reporting structure that allows you to run a wide range of reports by learner, group, course, completion or incomplete status, etc. So make sure you’re satisfied with the reporting functionality. Do you foresee the need to offer training to customers or partners? If so, does the system support training to external audiences? In most systems, it should be a simple matter of a few custom data fields to identify and organize the customers. Additionally, can the system support ecommerce functionality so you can charge for training and allow external customers to pay online? Will you or any other trainers take an active role in course production? If so, how sophisticated do you expect the courses to be? For example, will the courses include video, audio, flash? If you plan on creating your own courses, does the system come with an integrated course authoring tool and document management system that can meet your needs? If so, the built-in tools will potentially save a lot of time and headaches entailed in uploading courses to the system. If you’re creating courses with the vendor’s tool, they should upload rather easily. Also, ensure the course authoring tool is web-based so geographically dispersed subject experts or content developers can easily collaborate on the courses. Lastly, a web-based document management system will allow you to store training objects or assets and re-use them in other training courses, allowing you to leverage all of your past training files. Social media is quite the buzz these days and clearly people are spending more time getting quick information updates in blog posts, discussion groups, videos, etc. Yet, it’s still a new concept and can potentially eat up huge amounts of employee time and productivity. With respect to social media, it may be best to decide what you want or feel comfortable with and start with baby steps and expand your strategy as you gather more data about the results. Training systems should be designed for trainers, with an understanding of typical training work-flows and an intelligent user design. This is important to consider because many companies have recently jumped into this space coming from other markets and catering to other end-users. For example, there are many platforms designed for sales purposes rather than employee training, and those platforms are being re-purposed to jump into a growing and popular market. There are also plenty of learning platforms offered by ERP and payroll vendors that merely “house” training data in a table but do not push-out, launch or schedule training courses and learners. Make sure the vendor has a deep understanding of the training function and common work-flows. There’s no comparable substitute for practical experience. Also, ask about the vendor’s product roadmap. You want a vendor who will partner with you and consistently evolve their system to reflect current needs and trends. Many of these systems have web pages that haven’t been updated in years and rely on outdated technology. Ask about the number of features a vendor will typically release each year and make sure every customer gets the newest releases without any additional charges. Lastly, in selecting a LMS vendor, you’re selecting your training partner so it’s best to choose one you trust. Towards that end, it could be helpful to interview the account management team in addition to the sales executive as the account manager is the person you’ll mainly be partnering with and relying on in the future. Janine is a trainer and founded emTRAiN in 2000 to provide eLearning courses and a user-friendly web-based learning management system to launch and track all types of training activities. This is a great checklist. Next training session I work on, I will definitely reference this. Do you hire out trainers? Glad that you found this article useful. Tell us how it works for your next training session!